Intercon Bedroom Set Jackson INJK5050SET. 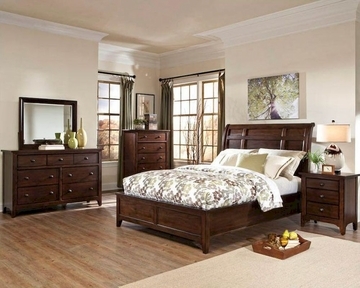 The Jackson bedroom set from Intercon is made from mango veneer and select hardwoods and has a rich raisin finish. (Headboard IN-JK-BR-5050Q-RAI-HB, Foodboard IN-JK-BR-5050Q-RAI-FB, Rails/Slasts IN-JK-BR-5050Q-RAI-RS). 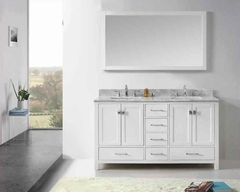 1 x 3 Drawer Night Stand IN-JK-BR-5003-RAI-C.
(Headboard IN-JK-BR-5050K-RAI-HB, Foodboard IN-JK-BR-5050K-RAI-FB, Rails/Slasts IN-JK-BR-5050K-RAI-RS). (Headboard IN-JK-BR-5050C-RAI-HB, Foodboard IN-JK-BR-5050C-RAI-FB, Rails/Slasts IN-JK-BR-5050C-RAI-RS). Queen Bed – 66.5"w x 82"d x 56"h.
Queen Headboard – 66''w x 9''d x 56''h. Queen Foodboard – 66.5''w x 3''d x 18''h. King Bed – 82.5"w x 82.25"d x 56"h.
King Headboard – 82''w x 9''d x 56''h. King Foodboard – 82.5''w x 3''d x 18''h. California King Bed – 82.5"w x 86"d x 56"h.
California King Headboard – 82''w x 9''d x 56''h. California King Foodboard – 82.5''w x 3''d x 18''h. Night Stand – 26"w x 17"d x 29"h.
Dresser - 62"w x 19"d x 39"h.
Mirror - 44"w x 1.5"d x 35"h.
Constructed from mango veneer and select hardwood with a rich raisin finish. Heavy duty, full extension drawers for easy access. Accented english dovetail drawer construction for lasting durability. Unique metal accent on headboard. Standard footboard in queen, king and Californial King size beds. Electrical power charging station in nightstand drawer with four outlets. Felt lined top drawers in all case pieces. Solid wood edges on chests and dresser.